If the handle on your GE refrigerator is wiggling, it means you've got a screw loose. While tightening said screw is simple, finding them on a refrigerator handle can present a challenge. The manufacturer does a good job of keeping them out of sight so they don't detract from the appearance of your refrigerator. There are usually two screws you need to find: one near the top of the handle and one near the bottom. The sleek appearance of some handles means you'll have to search for the screws. Locate the screws that hold the handle in place. 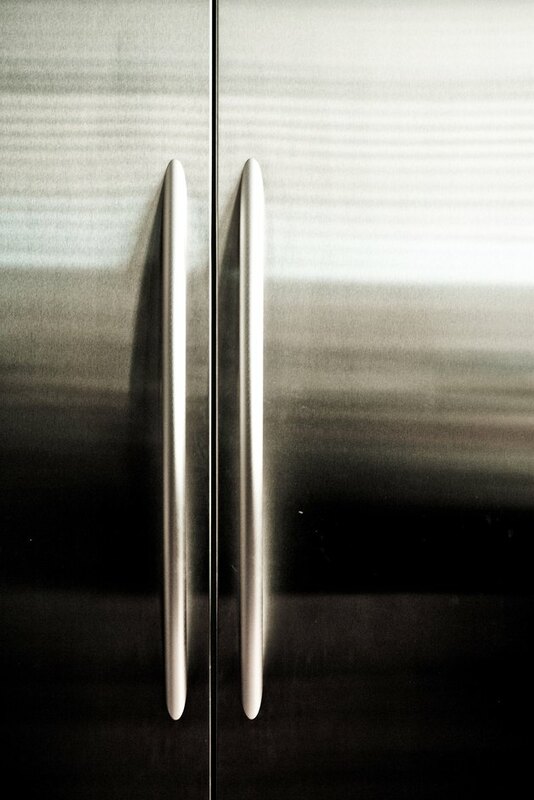 Depending on your refrigerator's model, the screws may be along the top or bottom surface of the door, on the side of the handle or hidden underneath the top of the bottom inside curve of the handle. If you cannot locate any visible screws, look for removable panels or screw covers. If there are no removable panels or covers, try sliding the handle upward, downward, left or right. A few GE refrigerator handles are installed on tracks and must be slid off the tracks to reveal the screws holding the assembly to the door. Use a flat-head screwdriver to carefully pry away and panels or covers that are over the screws. Use gentle pressure and work slowly to avoid damaging the covers. Determine the tool necessary to tighten the visible screws. Hex and Phillips screws are the most common types of fasteners used on GE refrigerators, but a few models use small bolts. Tighten the screws by hand by turning them to the right with the appropriate tool until they will not easily turn any farther. Replace the covers or panels by pressing them back in place. If necessary, gently tap them in place with a small rubber mallet or a hammer covered with a cloth.